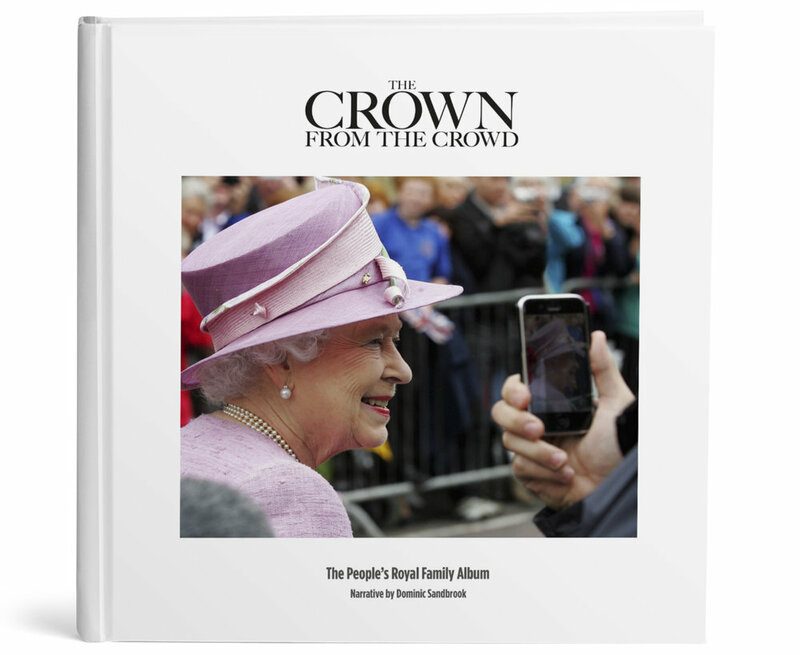 Commissioned by Photobox, Europe’s largest photographic community, The Crown from the Crowd is a ground-breaking project to create a unique photographic biography and picture archive of the Royal Family - as seen exclusively through the camera lens of the Great British Public over the last century. Jennie Bond, who served as the BBC’s Royal Correspondent during 14 of the most turbulent years the monarchy has endured, led a nationwide search to plunder the people’s archive of unseen photographs of the Royal Family taken at any one of the estimated 50,000 royal engagements since the Second World War. The public response was overwhelming with over 2000 photographs submitted dating back to pictures of Queen Victoria taken in the 1890s. The book features over 250 images across eight chapters ranging from Country Life to Pomp & Ceremony, each with a fascinating introduction by best-selling author and social historian Dominic Sandbrook. Created to commemorate the forthcoming Royal Wedding, the first edition of The Crown from the Crowd will be presented to Prince Harry and Meghan Markle as a ‘gift from the people', ahead of their big day on Saturday 19th May. The Crowd from the Crowd is available to buy from Tuesday 8th May for £25 with 100% of the profit donated to Help for Heroes.